Financial Problems in Relationships can be a major source of stress in our lives. One of the biggest causes of tension for couples is the inability to talk through money matters without the discussion leading to conflict. 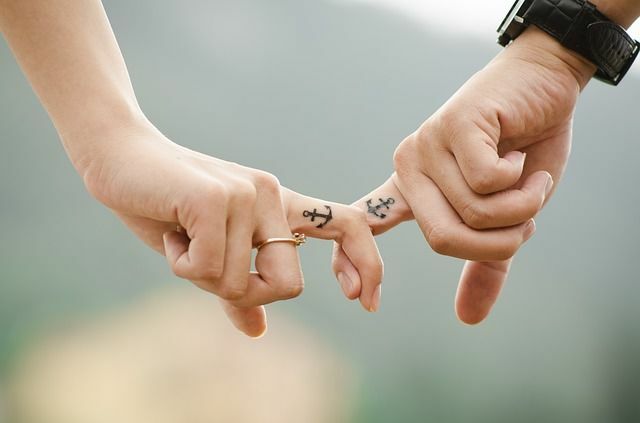 According to researchers, money issues are often the reason why relationships don’t last and are commonly cited as the main reason for divorce. So, why is money such a contentious issue in our relationships when we can talk so freely about other matters? And how can we turn it round so we can communicate effectively with our partner and use it as an opportunity for growth? Everyone brings to a relationship their own financial habits, values and priorities, and matching them up can be pretty tricky. From time to time it can feel nigh on impossible. 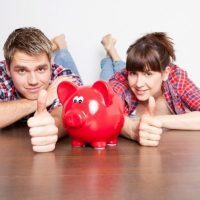 Ideally, any financial issues or differences should be sorted out at the beginning of a relationship, but many of us are too caught up in the first flush of romance to discuss something as decidedly unromantic as money! However, small differences in habits can lead to all sorts of problems further along the road if they are not sorted out as early on as possible. Read on for three of the most common reasons financial problems occur in relationships and how to effectively discuss them with our loved ones, no matter whether you’ve been together 6 months or 30 years. Well, they say opposites attract! But how do you prevent those niggly arguments if one of you insists on saving every penny and the other wants to spend, spend, spend? Within reason, allow each of you a certain amount of “play” money a month, which you can spend on what you like, or put away in savings if you prefer. If this isn’t feasible, try talking to each other about your differences and see if you can learn from each other (as with any discussions about money, don’t do this in the heat of battle! Pick a time when you are both in a calm frame of mind). Try not to see the other’s habit as a negative one; it’s just different to yours, and benefits can be found in both approaches to spending. Being in debt can understandably be a huge cause of conflict in relationships, whether the debt was brought into the partnership by you or your loved one, or whether it is debt that you have accumulated together. The most important thing to do here is make sure neither of you has your head in the sand. Pick a time to sit down together and over coffee and cake tackle the debt head on and see if you come up with a plan to minimize it. We know how tempting it is to allocate blame, but doing so will only lead to more arguments, so bite your tongue if you can! Maybe one of you is a secret spender, or one of you has a bank account that the other doesn’t know about. This problem occurs when money is a taboo subject in your relationship and so individual desires are at the forefront of spending rather than joint responsibilities. If this sounds like you, you need to sit down with your partner and not just talk but listen. Try and put all judgment aside and really take in what your partner tells you. Be as honest as you can, both with your partner and yourself. Often, if someone is being secretive about their spending, there is something underlying that; some insecurity or fear that needs to be addressed. A common thread running through these money problems is the lack of communication. It is so important to be able to discuss financial problems freely in a relationship, without the fear of it turning to conflict. As with many things that are important, it takes practice and patience on both sides, but once you can agree on some financial goals, things will become a lot easier! What are some common things you argue about with your partner? Can you share more ideas on how to address financial problems in relationships? We’d love to hear from you. Hi Catherine, I am glad you found post useful and thank you for sharing the post and for taking the time to leave your comments – greatly appreciated.